Have you ever stopped to wonder how we got ourselves in this mess? Wrapped up in plastic, carbon emissions spiralling, a few rich people owning most of the world’s resources? Surely, there is a better way of doing things. A new way of living that is more compatible with the ability of planet Earth to provide the resources we need to live. Visiting Antarctica puts all of these issues in focus. Antarctica is suffering the injustice of climate change. The continent has no owner, no permanent population, no industry, no emissions outside those of a scattering of research bases – yet it is most affected by the impacts of climate change. The western part of the Antarctica Continent is warming rapidly, more rapidly than the global average and this means melting glaciers and diminishing sea ice. Increased snow falls on the Peninsula due to the warming ocean means later breeding times for penguins and greater risks – especially for Adélie Penguins - who have just one chance at laying eggs each season. The eastern Antarctic is cooler but drier and as it dries out the 25 continental mosses which are key plant species are under threat. Antarctica regulates the climate of the whole planet. If she loses her ability to do this, we will all be affected. These are the questions and the stark reality that brought me and 79 other women to Homeward Bound, a global leadership programme for women in science. We set sail on the MV Ushuaia, a former research vessel and spy ship on the 31 December 2018 and spent 21 days exploring ourselves, our collective capacity to lead and the 7thContinent. We crossed the Drake Passage and the Antarctic Convergence in the company of Wandering Albatross and Giant Petrels. 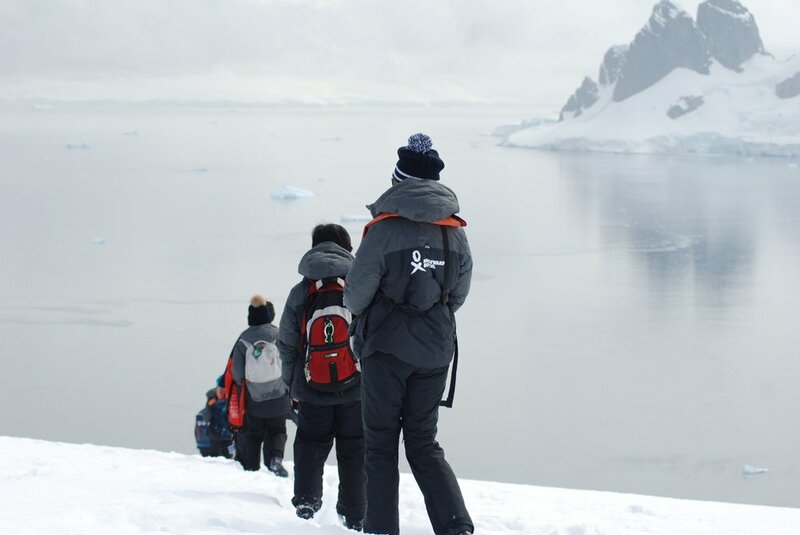 We left the everyday behind and focused all of our energy on learning about Antarctica, listening to her and to each other, exploring the Continent’s fragility and our resilience. In order to lead differently - more collaboratively, with humanity and humility – we started by looking at ourselves. Each day was filled with lectures, workshops and group activities. We presented our science to each other in the 3-minute format of Symposium at Sea, a great opportunity to learn about everything from gravitational waves to lion conservation. 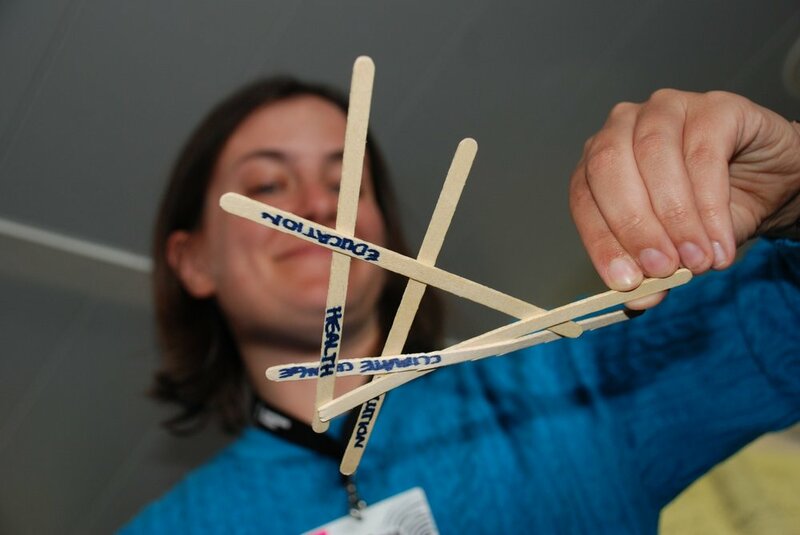 We had workshops in visibility and science communication, in effective influencing and how to present in a way that connects with all types of learning styles. We worked on group projects on everything from the gender gap and global health to plastic pollution and climate change. And there were no distractions – apart from running out on the deck to see an iceberg too glorious to miss or a breaching whale - just the work of the day to be participated in fully. 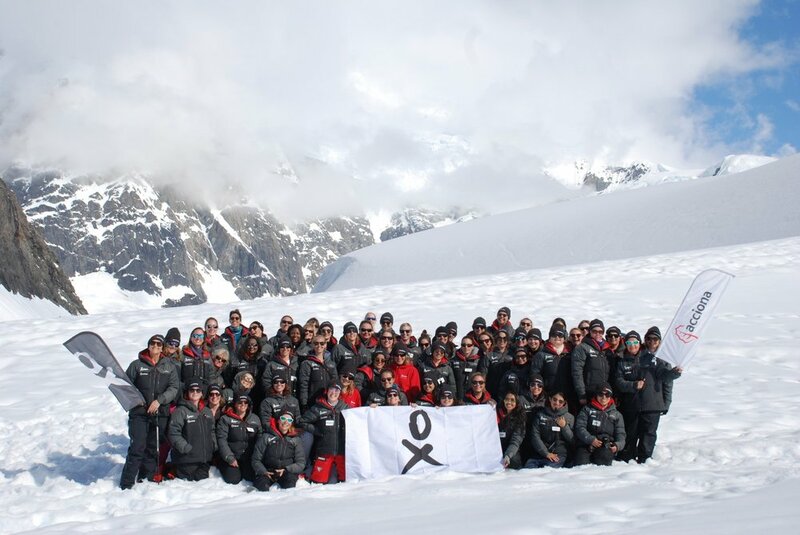 This was an inward journey as much as it was a voyage into the unknown - into what we have to offer as individuals and as a network of women scientists committed to a sustainable future. Through it all we listened to Antarctica. We heard her breathe, crack, melt, collapse and give life. We ran out of words to describe the beauty, scale and purity of the place. We were entranced by the breaching of a humpback whale, spellbound by a pod of 17 sleeping Orcas, impressed by the diligence of penguin parents caring for their chicks and captivated by icebergs the size of housing estates. Every day brought a new vista, a new set of emotions, a strengthened commitment to work together to protect this special place and in so doing to protect ourselves. In 21 days together there were no harsh words or arguments. We set our own rules and lived by them. In place of power struggles and one-upmanship there was kindness, laughter, vulnerability and respect. We danced, we cried, we felt alive, we remembered who we are and what makes us tick and we realised that we can do more to make a difference. We are stronger together and as our network grows our impact will be amplified. We are working towards the goal of 1,000 women who have each other’s back, who share a commitment to a new type of leadership, who believe in diversity, and who are committed to working with and not against mother nature. 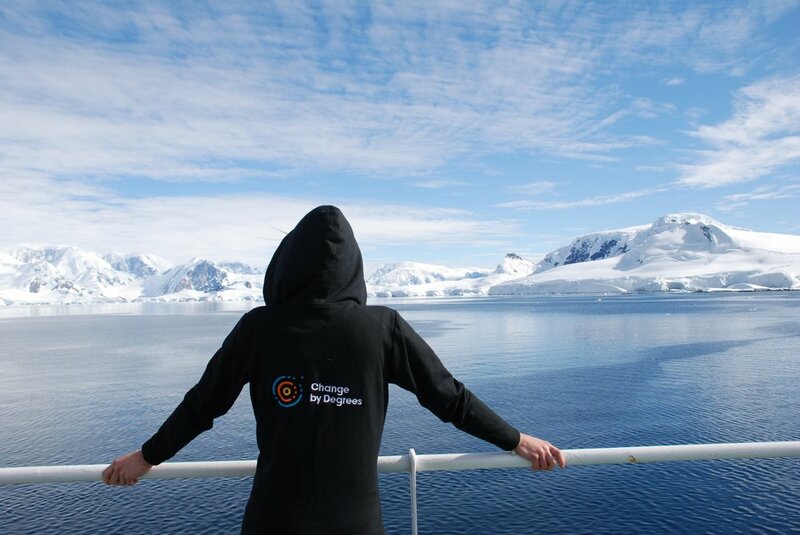 Returning home from my adventure in Antarctica I have a renewed focus on helping people to make changes in their lives to live more sustainably, one degree at a time. Leading means taking people with you and enabling them to be the best they can be. That is a core philosophy for Change by Degrees. We won’t tell you what to do. We will give you the facts and solutions and empower you to make your own decisions and to create your own wave of positive change. We are all, men and women, stronger together, and we can create a movement for change. The future is better and brighter. We just have to dare to imagine it and then take steps to achieve it. Tara is grateful to her sponsors Repak and the EPA (Environmental Protection Agency), who enabled her participation in the Homeward Bound programme. She also grateful to Maui Jim sunglasses, Marks and Spencer’s and Ocean Positive for their support, as well as to Danah, Puzzled by Iceland, Exped, Two Thirds and Untouched World for their support to the EU participants.